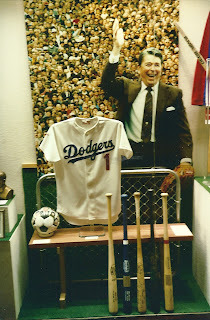 When I first visited the Ronald Reagan Presidential Library and Museum north of Los Angeles in 2001, a special exhibit featured 40 paintings Norman Rockwell made for The Saturday Evening Post and Look magazine. Art critic David Hickey wrote that Rockwell "portrayed a world in which the minimum conditions of democracy are made visible, a world where decency, tolerance and basic goodness are manifested and lived daily." That these folksy paintings were on display at the Reagan museum was appropriate because Reagan and Rockwell had similar values and were both accused of "cornball sentimentality." I don’t know if Rockwell was Reagan’s favorite artist, but I suspect he was. I have visited most of the great art museums of Western culture. I really love them, but the atmosphere is often hushed, and a sense of great significance hangs in the air. Rockwell might have been dismissed as only an illustrator, but the audience visiting the Reagan museum talked about the pictures and laughed with recognition at situations. The friendly nature of the visitors’ interaction, along with the impact of Reagan’s speeches and the historical memorabilia on display, contributed to an emotional experience. In 2004, I returned for a second visit. 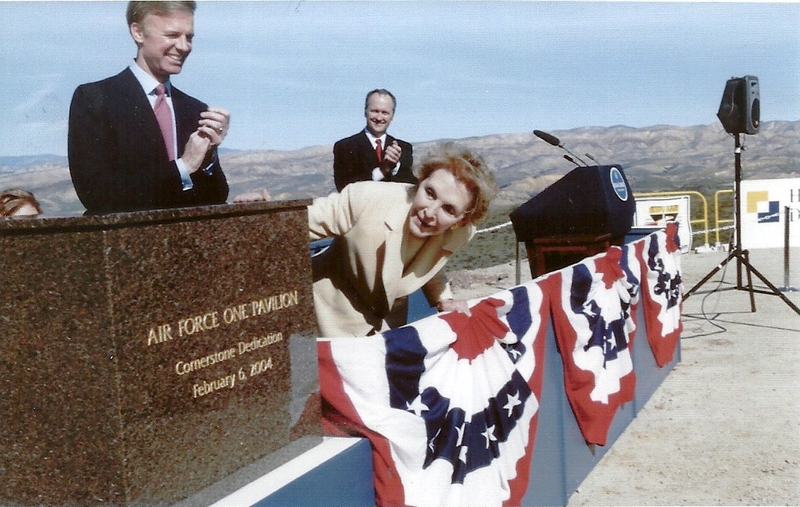 The Air Force One Pavilion was under construction. The Boeing 707 first used by President Richard Nixon in 1973 and then by Jimmy Carter, Gerald Ford, Reagan and the first President George Bush would be housed there. Also included were Reagan’s presidential parade limousine and a Marine One helicopter. The pavilion was the future, but I continued to find the museum impressive in its own right. Visitors start their tour by watching a movie of speech excerpts, with Reagan giving background commentary. As I listened, I remembered how he could bring out strong feelings in others with his own emotional responses, which sometimes included tears. In the film, the faces in his audiences convey a symphony of feelings. Another short film gives an overview of Reagan’s life. On my second visit, the temporary entry display contained great paintings of all our presidents, accompanied by short biographies. In the museum, much is done with montages. One is a collection of the posters of Reagan’s films. In other areas are mementos from his radio and Army days and costumes from his movies. One display mirrors his family’s kitchen from his childhood, where he developed a taste for his favorite foods: eggplant lasagna, macaroni and cheese, meatloaf and split-pea soup. Reagan’s life was frequently recorded on film, and throughout the museum, televisions and movie screens play the important moments in his life. In one room, an ancient TV shows him in the early days of campaigning for office. Another plays excerpts of his films, with some emphasis on his favorite roles as George Gipp in "Knute Rockne" and as Drake McHugh in "King’s Row." The display that put the biggest lump in my throat was the film on the assassination attempt by John Hinckley. It is little known how close to death Reagan came; his humor and good will were important in handling a critical situation. As he lay in the operating room with a bullet an inch from his heart, doctors reported that he grinned and murmured, "Please tell me you’re Republicans." There are films of most of the great events of his administration, such as his Brandenburg speech: "General Secretary Gorbachev, if you seek peace, if you seek prosperity for the Soviet Union and Eastern Europe, if you seek liberalization: Come here to this gate! Mr. Gorbachev, open this gate! Mr. Gorbachev, tear down this wall!" To emphasize his success in dealing with the Cold War, outside the back door of the museum is a section of that wall covered with graffiti by Germans unhappy with being forcibly divided by the Soviet Union. 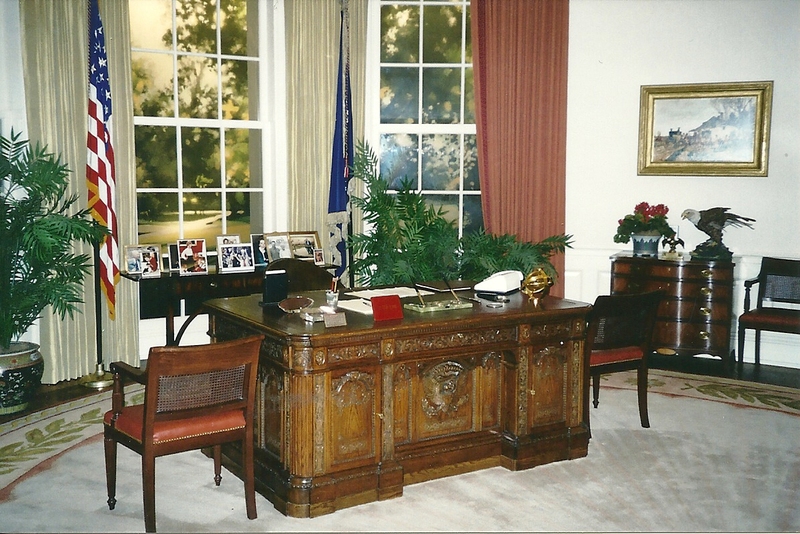 In a replica of Reagan’s Oval Office, a guide relates how the president hastened the collapse of the Soviet Union and pushed for the rebuilding of the military. Here, as in other places, are guides who answer questions and give short presentations. A large area is devoted to Reagan’s love of physical activities, with mementos of his horseback riding, ranch work, swimming, target shooting and golf and many gifts from sports heroes. Through it all, there is much emphasis on Nancy and the important role she has played in his life. Staff members say their goal is not only to educate and entertain, but to stimulate visitors’ involvement in historical events. These goals are demonstrated by the choice of special exhibits. For example, I would have liked to have been there to see "Spies: Secrets From the CIA, KBG and Hollywood." When we were there, a 4,000-square-foot gallery inside the new 25,000-square-foot Presidential Learning Center featured "Lewis and Clark: A Discovery for All Ages." As the museum’s publicity materials say, "This hands-on exhibit incorporates movie-set-style replicas for visitors to explore: look at a 40-foot replica of their keelboat; walk up the Missouri River dock and examine the trade-goods Lewis and Clark brought with them on their expedition; peer inside a full-scale Teton Sioux tepee and learn what was used inside them; enter the gates at Fort Clatsop and see how the group spent their winter before returning home; and much more." Even for visitors who are not fans of Reagan as an actor or a politician, this is an interesting and at times surprising experience. Former First Lady Nancy Reagan unveils the cornerstone for the Air Force One Pavilion at the Ronald Reagan Presidential Library and Museum on “February 6, 2004. A few months after my visit in 2004 Reagan died and I wrote the following column for the Columbia Daily Tribune. Last week millions of people who didn’t know President Ronald Reagan personally, even some who were not alive when he was president, showed strong emotional reactions to his death. The media have done numerous recaps of his life and contributions and gave complete coverage to the funeral. I’ve been asked a number of questions, such as, "How come such a strong reaction?" "Isn’t all this emotion unusual?" "Why are even teenagers who weren’t alive when he was president showing grief?" Each of us has a different combination of reasons for mourning, but some common factors are related to our basic nature as human beings. Most of us are by nature cooperative because alone we are relatively helpless. As part of this willingness to cooperate for mutual benefit, we respond positively to leaders who can get us to work together toward a common goal. Reagan convinced us he wanted only the best for us, and even his detractors didn’t question his sincerity. As the "great communicator," he acted as a unifier of the citizens, not a divider. A charismatic leader often projects an image that might have little to do with who he or she is as a person. Because he had been an actor, Reagan was accused of playing the role of a lifetime as president. I would suggest that the presidency is a role regardless of who fills it and that to do it right, it is necessary for a person to act presidential. The incumbent becomes the role. Leaders with a charisma that includes much charm, humor and touches of humanity, such as Roosevelt, Kennedy and Reagan possessed, elicit special feelings of loss when they die, and a whole nation mourns. A rush to memorialize them includes naming streets, schools and public buildings after them. A movement already has started to put Reagan’s portrait on the $10 bill. This need to memorialize a dead leader also seems to go with our human nature. This behavior can be found in our earliest recorded history as communal mourning when a leader died. Even prehistoric remains found in graves suggest that leaders were buried with special ceremonies and often with the sacrifice of wives and servants buried with them. Some psychological factors are related to leaders in general. By reason of their personalities, they become parent figures to us, and we place a great deal of faith in them to take care of us and see to our welfare. 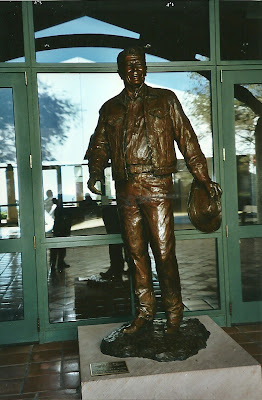 For most of us older than 30, Reagan is an integral part of our history. We were reminded, by sound bites from his speeches and tributes by other important leaders, of our anxieties at the time he served and how he calmed them. His death brings closure to a time we lived through, and so a part of what we are is gone. Many people will feel as if a close relative has died. In some cases, we mourn more at the death of a leader than we do for a relative. I remember the public showing similar feelings of personal loss when Roosevelt and Kennedy died. Finally, young people who didn’t know him as president probably are showing a sympathy response. When others around us are sad or showing strong emotion, most normal people will respond with similar feelings. I suspect that if a 15-year-old is feeling a sense of loss, he or she probably caught it from relatives or by watching too much television. Grieving a loss is normal when we have felt a connection to a person. Part of Reagan’s legacy is the number of people who felt a strong connection with him, even people such as me who disagreed with many of his policies.